Join the tutor on this course which will combine meditation and exploration. The focus will be on yourself and learning how to relax and re-energise to make your life more about you. Each session will be based around the topics of self-healing, happiness, the power of now, life loves you and aligning yourself. You will learn about meditation and peace, your auras and your chakras. You will also explore and invigorate yourself through chakra dancing, laughter yoga, meditative movement, loving and aligning your life for you. The five workshops are to connect you to yourown energy todestressonyour journey for peace and relaxation. Having the knowledge and creativity and movement to help you with this. You simply need to come with an open mind, comfortable clothing and some magazines/photos for the last day. There is no need to do any preparatory work or reading. A workshop connecting you with your Chakras, see theircolours, locatetheir healingpotential. Throughcolour, thoughtand energy promote one's own self-healing. This workshop teaches you to connect and bring out your own happiness through a variety of thoughts and techniques. Here you connect with what is in your present and going on in the moment for you. This awakens your senses and gives you a new energy that is all about right now. Do you sometimes think life doesn't loveme? Connect and allow your life to embrace and really love the inner you. Connect to your true potential aligning yourself for your own way forward creating a path for your own wants and needs. Finishing with creating a vision board. Please bring magazines of interests, hobbies, things you want or would love to do. In 2013 Alison started running meditation classes and workshops from her studio in the garden of her home inShrivenham. 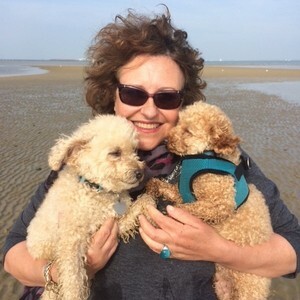 Alison now covers meditation classes, five workshops, meditative art, chakra dancing and laughter yoga.She has produced 5 CDs including a CD for teenagers helping with exams and life post school. Alison has personally benefited from meditation for over 30years living both in India and Hong-Kong whichhas developed her interests in a number of adjacent fields.In 2018 Alison will have finished her practitionerscourse in Life Alignment.Alison has qualified with distinction from the British School of Meditation,the British School of Chakra Dancing andLaughterYoga to add to the Reiki Masters she achieved whilst living in India.